Living here in Albany, New York is amazing. With incredible scenery surrounding our beautiful city, and plenty of fun things to keep us occupied all year round – most residents would agree that there is no place like home here in Albany. While locals enjoy all that this lively area has to offer, there is one small downside that not everyone is totally on board with – winter. In upstate New York, we don’t just have a winter season, we have the winter season. With snow already piling up, and frigid temperatures plummeting deeper into the seemingly endless abyss, winter is one of the only downsides to living here in the Northeast. January has barely begun, but if you are anything like me – you are already looking forward to the spring, summer, and fall. One of the most fun ways to enjoy winter in Albany, and guarantee a summer loaded with fun, is to drive home in one of the many used cars available at DePaula Chevrolet. But don’t just buy any old used car. Albany, NY winters are brutal, and the only immediate cure is a winter-ready pre-owned convertible. A Convertible in the Snow? Yes Please! Have you always dreamed of owning a convertible sedan or coupe, envisioning yourself behind the wheel with the top down, but pushed that fantasy to the back of your mind due to the fact that you live here in the Northeast? It’s time to pull it back front and center because there has never been a better time to purchase a convertible. With used vehicle prices at a record low, and more automakers creating options that are road-worthy in ice and snow, it’s time that you dust the cobwebs from the back of your mind and head over to DePaula Chevrolet to find the convertible of your dreams, today. Let’s take a look at some of the top rated winter-ready convertibles from 2015. The models from that year have only been out on the road for a limited amount of time, making them great options for buyers who want to spend a little less than they would buying new. Check out winter-ready used convertible models from 2015 that you can enjoy all year round, regardless of the weather. Jeep Wrangler: The quintessential off-road vehicle is often overlooked as a convertible, but trust us – when the top goes down, there is no denying the fact that the Wrangler is as much a convertible as any other model. The 2015 Wrangler obviously comes ready to rock snow and ice-covered roads, as well as any other terrain you happen to encounter. With a 3.6-liter V6 Pentastar engine under the hood, these Wrangler models came with both soft and hard tops. 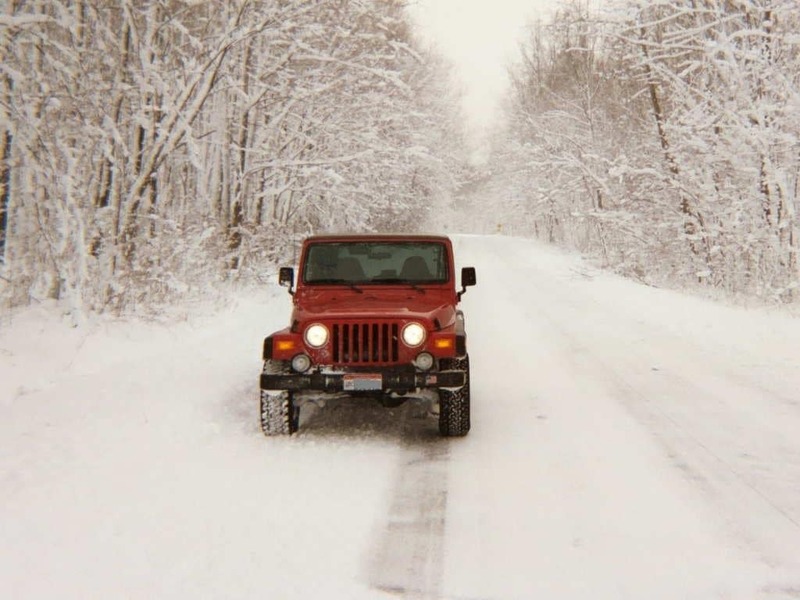 While you aren’t going to want to use a soft-top Wrangler on your daily commute in sub-zero temps, a hard-cover is the perfect solution to have your rugged convertible, and drive it all year round, too. BMW 3-Series: While this might be out of the price range of some used car shoppers, finding a quality pre-owned model makes this bimmer much more affordable. The 2015 BMW 3-Series is one of the most popular hardtop convertible models and has the option of all-wheel drive capability. The combination of these two capabilities makes it the perfect luxury option for all-season convertible fun. Chrysler 200: Finding a reliable 2015 Chrysler 200 may be your best bet for driving home in a hard top convertible on a tighter budget. With room for up to four passengers, the Chrysler 200 convertible features a retractable hard-top, perfect for navigating the city streets in all types of weather conditions. With a maximum horsepower rating of 283, this all-weather convertible will have you zipping around with the top down all summer, and keep you safe on the road in the winter. Volvo C70: Another convertible option on the luxury side of the spectrum, the 2015 Volvo C70 combines premium amenities with all-weather capability. The retractable hard-top on the C70 is one of the most seamless applications of this technology, and the turbocharged engine means ultimate fun, regardless of whether the top is up or down. Used car shoppers can also find this model with all-wheel drive capability, adding to its ultimate appeal for residents of upstate New York. Volkswagen Eos: This zippy compact car also boasts a retractable hardtop, which is great at keeping drivers warm in the winter, and plenty cool in the summer breeze. To add to the appeal of this convertible, the Eos came with an optional sunroof, which is rarely seen from this particular vehicle segment. Audi TT: Another great option for buyers who want a luxury convertible without paying full price, the Audi TT delivers incredible all-wheel-drive capability and the sporty fun of a coupe convertible. Fresh off of a redesign, the 2015 TT is a great way to enjoy high-end luxury amenities and ultimate all-weather capability. Mercedes-Benz G-Class: The G-Class began its life as a military vehicle, and it shows. With ruggedly capable looks, this cabriolet looks more like an off-road machine than a luxury convertible. Despite this fact, the Mercedes-Benz G-Class is one of the most winter-capable convertibles available. This model has since been discontinued, but once in awhile makes its way onto used car lots. If you see one, check it out and snag it up fast. As you can see from this list, there are plenty of used convertible models out there that are more than ready to hit the snow-covered roads here in Albany. It may not always be easy to find one, but the expert team at DePaula Chevrolet is dedicated to helping you find the exact car you want, no matter what. Come down and peruse our extensive inventory of pre-owned cars, trucks, SUVs, and convertibles. Whether you want to buy a convertible or a more practical family SUV, DePaula Chevrolet can certainly help. Don’t spend days hopping from one used car dealership to another. Start your search with DePaula Chevrolet and you won’t need to go anywhere else. We can’t wait to meet you and help you find that perfect new-to-you car, today!